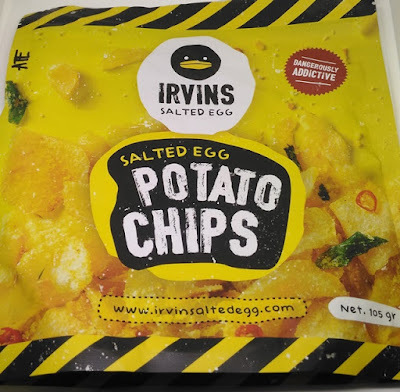 Salted Eggs Potato Chips? What's that? I just saw these in different food events in several malls and I find them a bit pricey for potato chips, yet there are still people who purchase. 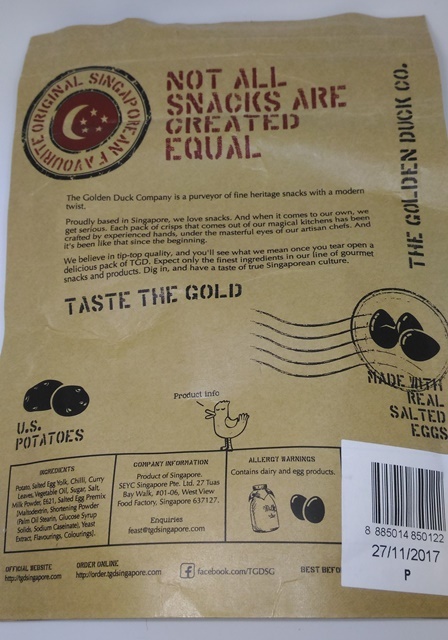 I learned that most raved potato chips or some even say it started in Singapore where there are the brands Irvins and The Golden Duck. 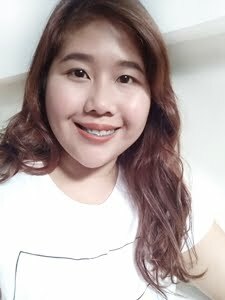 Thanks for my father for bringing them at home last quarter this year. 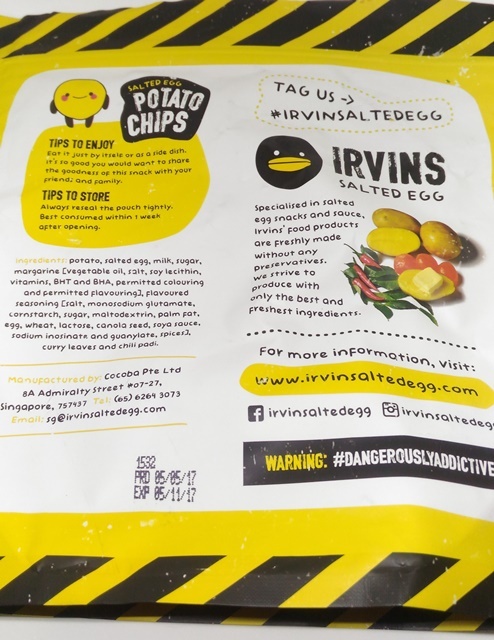 Let's start with Irvins Salted Egg, my father told me there's a queue in purchasing this yellow pack of potato chips and minimum order to purchase. When I'm in the Airport, most probably that certain passenger carrying the Yellow Duck Plastic Bag is from Singapore. 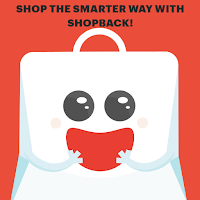 It's one of the most MUST BUY PASALUBONG from anyone coming from Singapore, mostly requested by most millennials. 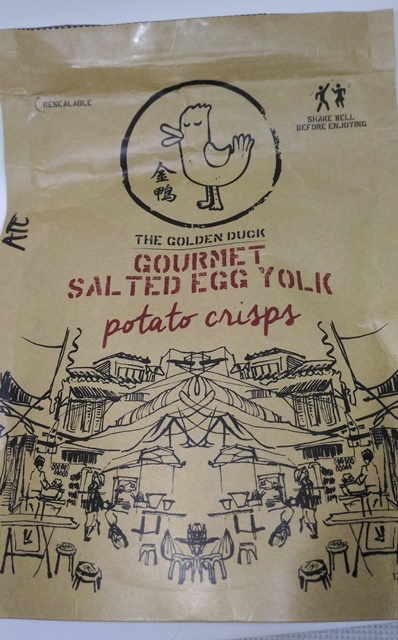 Now that I mentioned this to one of my friend now based in Singapore, he told me to try a different Salted Egg Potato Chips from The Golden Duck. I'll tag an acronym for this as TGD. Cheaper + more chips but of different taste too! TGD tastes sweet with a spicy kick. Irvin tastes more on the salty side. 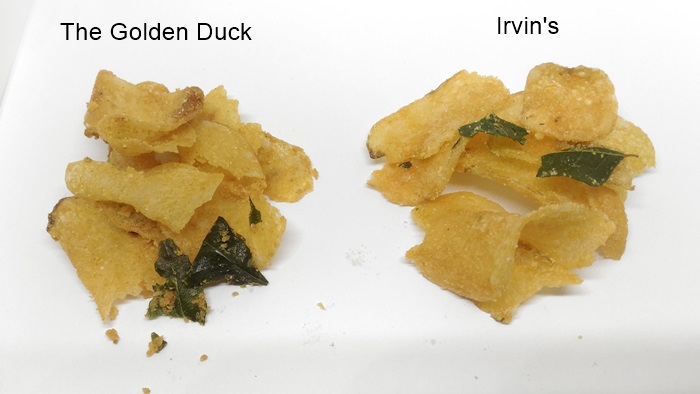 Irvin's have bigger chip cuts, while TGD I got contains smaller potato chip cuts. Honestly, they are not created the same and doesn't taste the same. 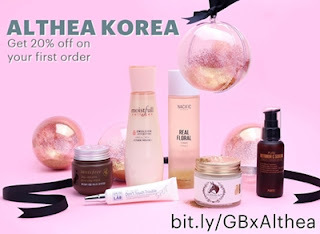 Probably if you would like the Sweet Spicy taste, go for The Golden Duck. If you preferred salty, go for Irvin's.